“I’m the wild child in the family,” claims Laura Rizzotto. Balestri Valda is a relatively-recent, family-run winery, with vineyards and the cellar perched just above the town of Soave, in the Veneto of Italy. 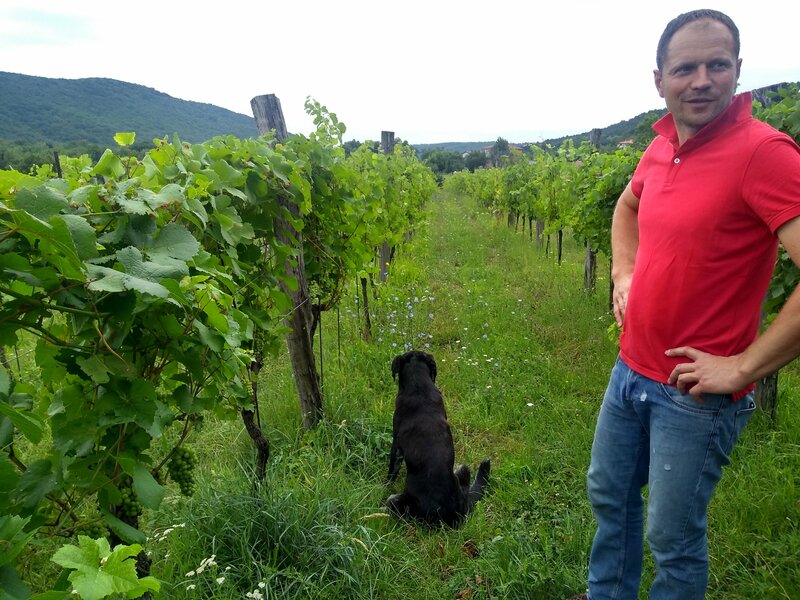 Laura and her father, Guido, work together on the Balestri Valda winery, while her brother and grandfather are still actively making bubbles for other local producers in Soave and the surrounding area. 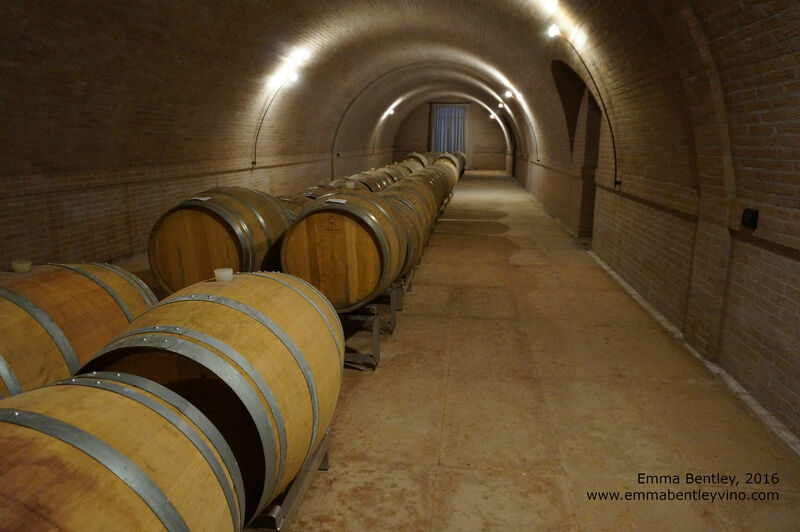 The Balestri Valda cellar was clearly a huge investment; it is large and spotlessly clean. 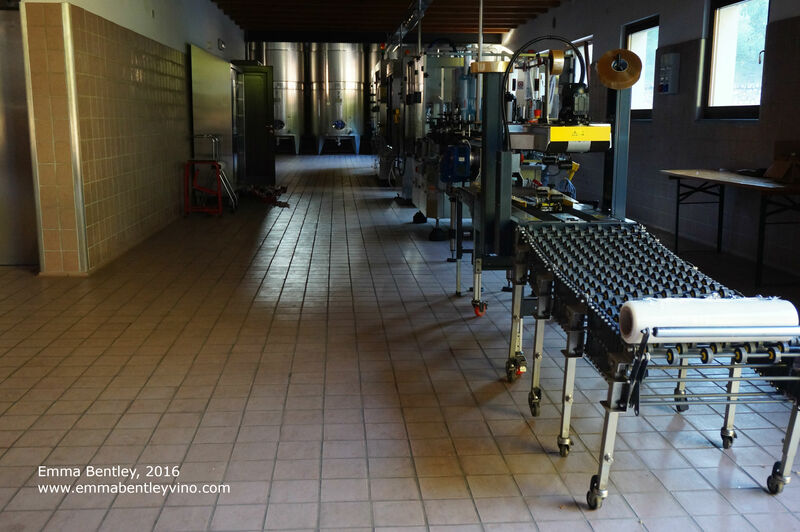 Currently 65,000 bottles of wine are made per year and it’s predominantly Soave Classico DOC. At the end of 2016, Laura finished university and moved back to Soave. She’s taking an increasingly important role at the winery and she’s a huge believer of biodiversity. 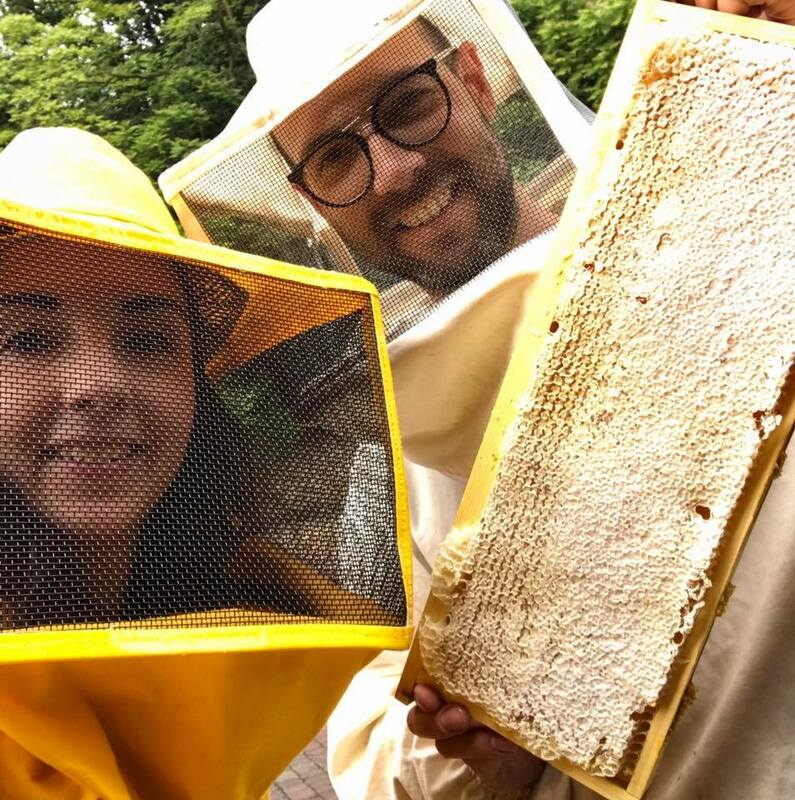 Yes, did I mention that Balestri Valda make their own mille-fleurs/millefiori honey? 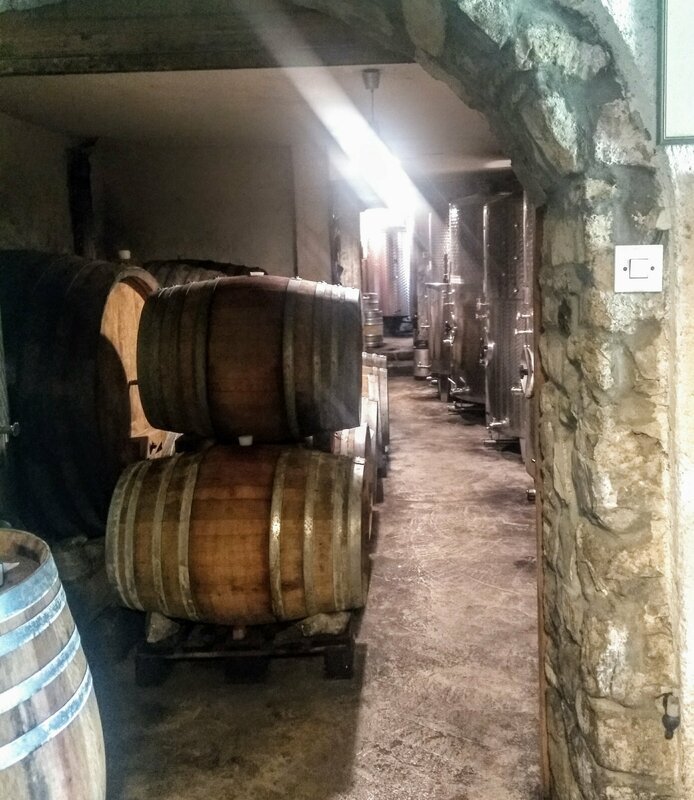 Laura is bringing in several important changes to the Balestri Valda winery: firstly, that they are in the process of obtaining official organic certification. Secondly, their new wine “Libertate” – is Laura’s pet project. 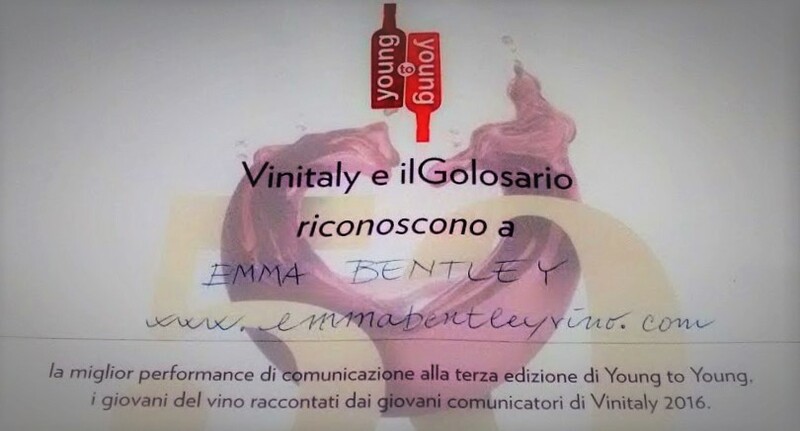 It is made from Trebbiano di Soave only – a far call from the traditional Soave (from garganega grapes or a blend) – and vinified in amphora and stainless steel. They’re not quite natural wines yet – I’m used to wines with a little less SO2 – but if Laura gets her way, Balestri Valda is heading very much in the right direction! A winery to watch! It’s hard to find a “young” man as enthusiastic, knowledgeable and determined as Sauro Maule. Sauro comes from a strong agricultural lineage. His father, Lino, a distinguished and considered man, raised cattle for more than 30 years. In 2010, aged 25, Sauro made the decision turn the company into one which grows grapes and makes wine. Admirably, he knew that he wanted chemical, herbicide and pesticide-free vineyards, and even ripped up existing vineyards which had been worked industrially in order to start afresh. 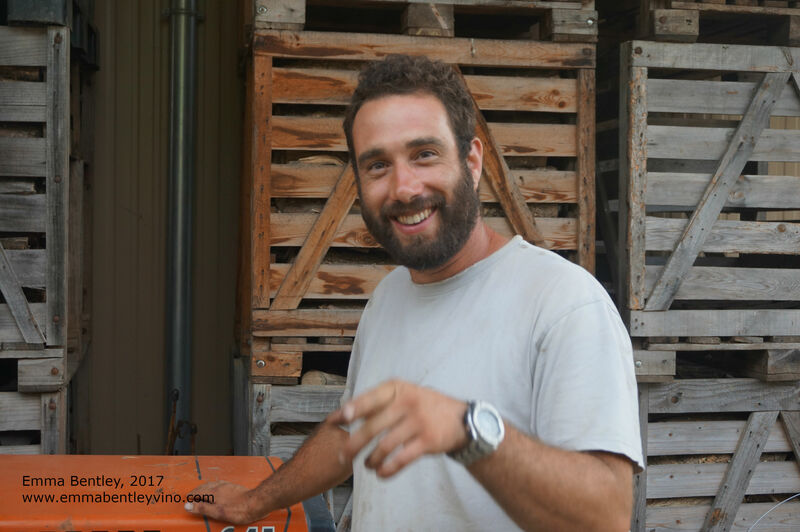 This year, 2017, will be his first year making wine in his own winery – situated in the old family property near San Germano dei Berici, in the little-known Colli Berici. The cattle shed has now become a pristine wine cellar. In terms of the grape varieties at his disposal, Sauro works with garganega, durella, pinot grigio, chardonnay, sauvignon, merlot, cabernet sauvignon and tocai rosso. He makes five different wines: two whites, two reds and a sparkling. The video above was taken in October 2016 and it shows a truckload of manure arriving to fertilise the soils for a new plantation of tocai rosso. Don’t focus too much on the manure – think instead how lush and unspoilt the area is! 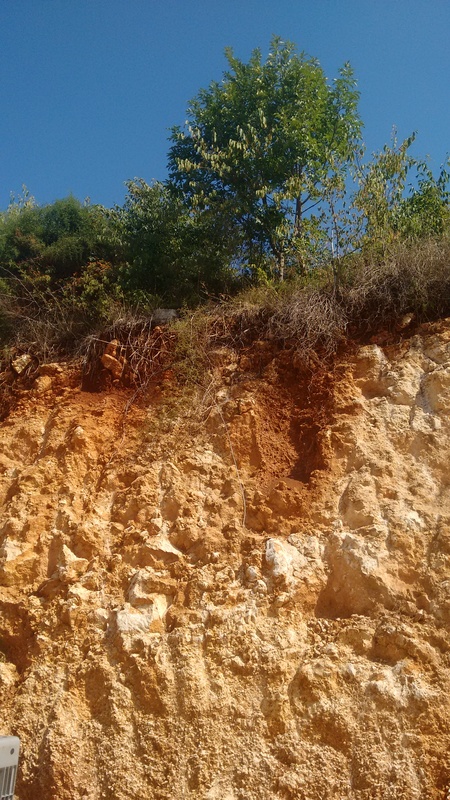 The new tocai rosso vineyard – 8 months old. 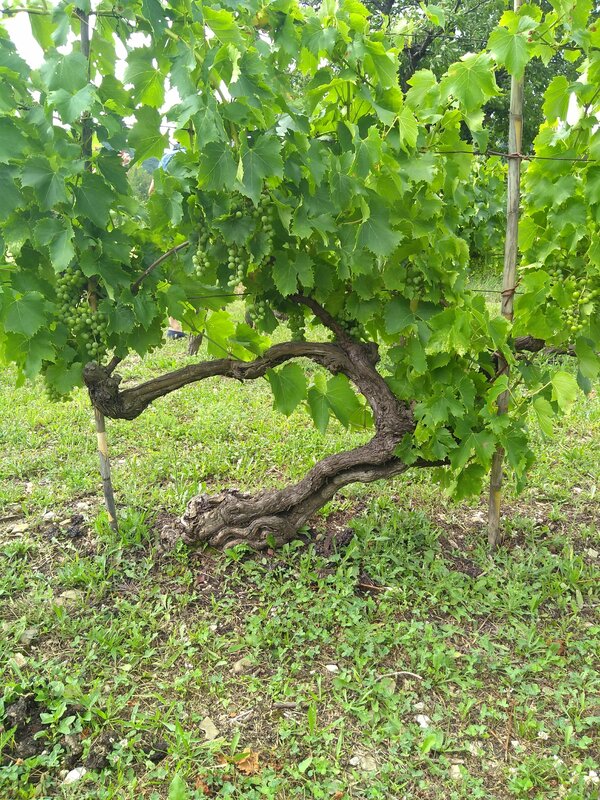 Some of Sauro’s vineyards (especially those in Selva) were badly hit by the late frost this spring and as a result, Sauro’s production this year will be lower than usual. That said, I am sure that he will continue to make the same great, fresh, unfiltered wines that he always has. They are fruit-forward (how I hate that term!) and juicy, with only minimal levels of sulfur dioxide added. Check them out! 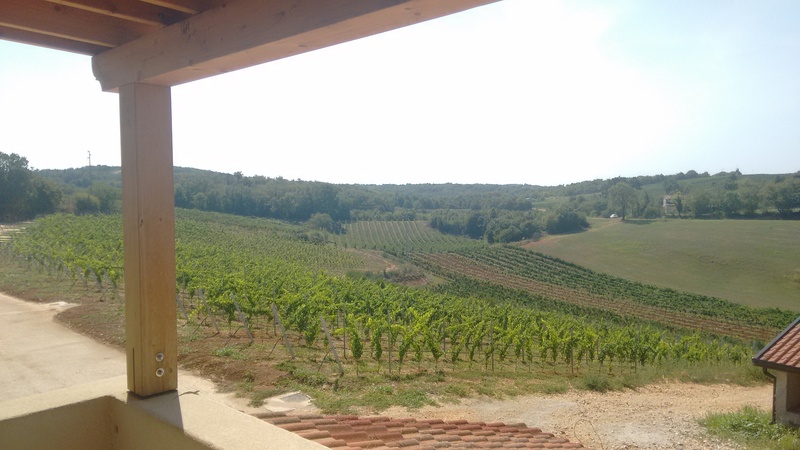 They started with 4 hectares but now Géraud and Pauline Fromont work 10 hectares of vineyards in three different villages (Cesancey, Vincelles and Ste-Agnès) all in the southern part of Jura, in what’s known as the Sud Revermont. The Sud Revermont doesn’t have any of the dramatic hills (i.e. Chateau-Chalon) that the north of the Jura (around Arbois) boasts but the Sud Revermont does have the highest concentration of lesser-known (but still very interesting) winemakers. Since the very beginning, they sought and then obtained organic certification. Coming from farming backgrounds, the decision to work organically was never up for debate. 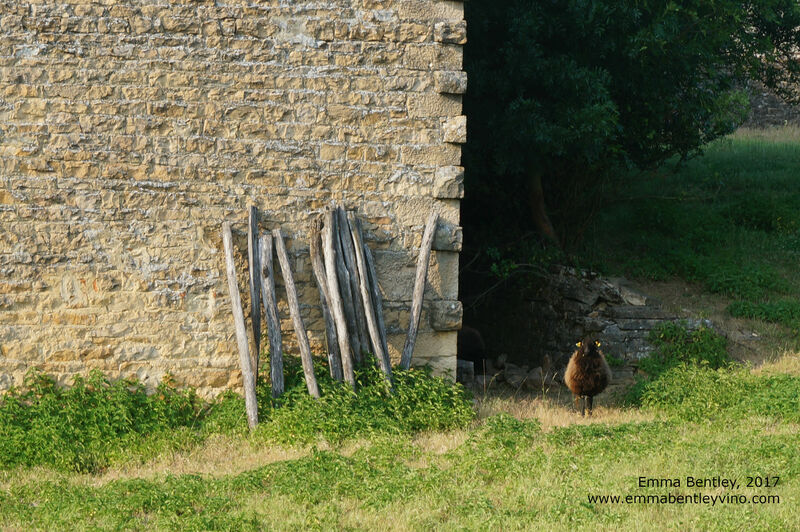 However, nowadays, despite the presence of a handful of sheep, the farming aspect has been put to one side in order to focus on the vineyards and wine-making. 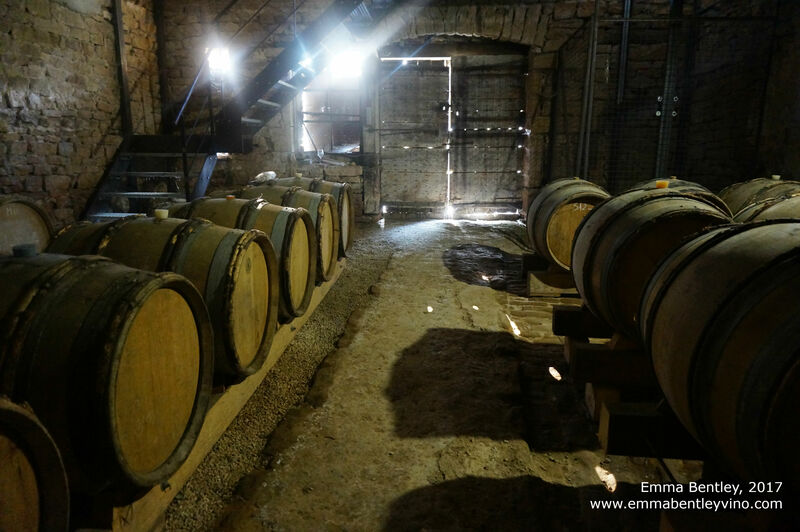 Because Géraud has such little stock left, most of what we tried were tank samples, settling for a week or so before bottling – therefore, I don’t remember the particular names unfortunately. What I do remember are the sensations. Savignan is not normally known as being an evocative variety but, my goodness, here they take on a life of their own. 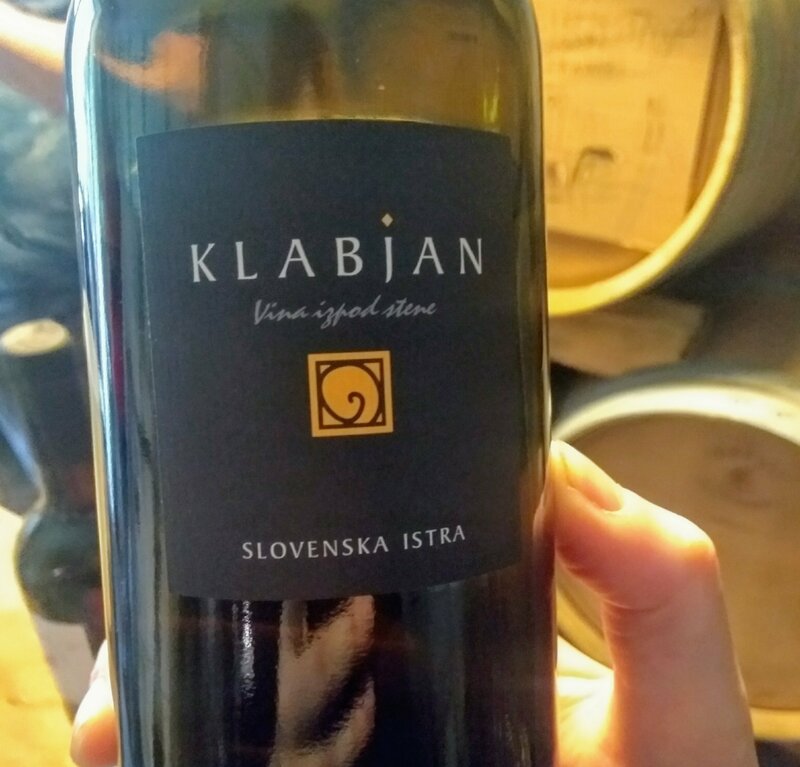 One of them – the 8th wine we tasted – had such intense aromas of pepper and spice. Another – from a variety of Savignan Rose (a relative of Muscat and Traminer) smelt of rose, elderflower and lychee. 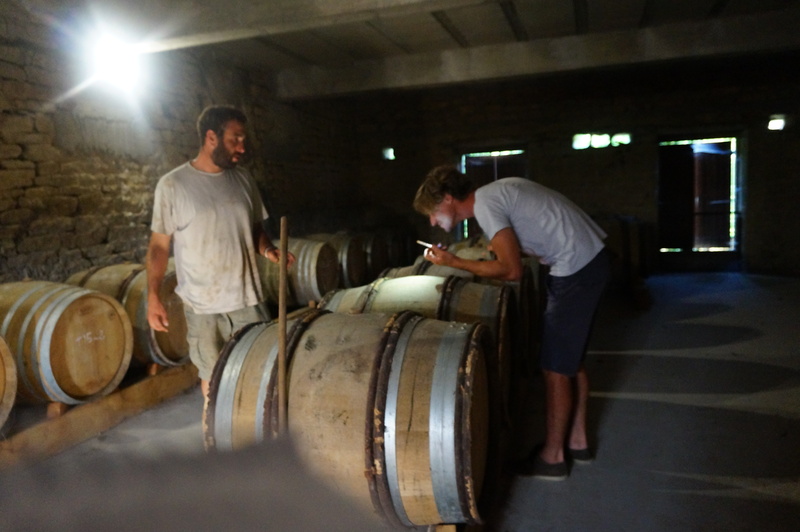 I also particularly liked a Chardonnay, aged in large wooden barrels (foudre) which I found rich, enticing and, I quote directly from my notes, “super bon!” Géraud treated us to another Chardonnay ouillé (topped up) but this time from the 2015 vintage which was showing its complexity wonderfully.